NICOLE RICHIE NEWS: Nicole & Khloe: Let's Go Lakers ! 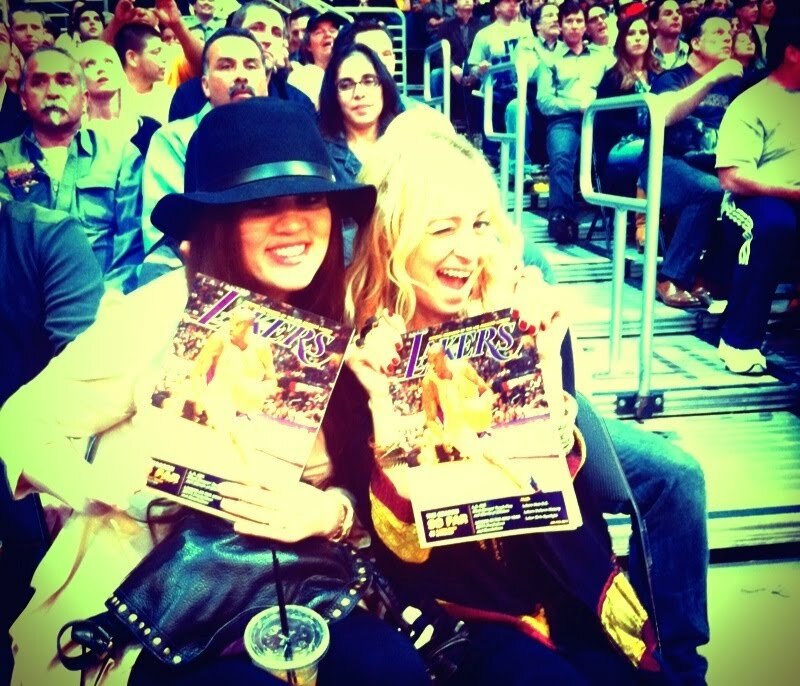 Nicole & Khloe: Let's Go Lakers ! Nicole Richie and Khloe Kardashian were out (January 28th) to cheer on the Lakers. The funny duo looked like they had lots of laughs at the game! "You are wonderful and I love you!" 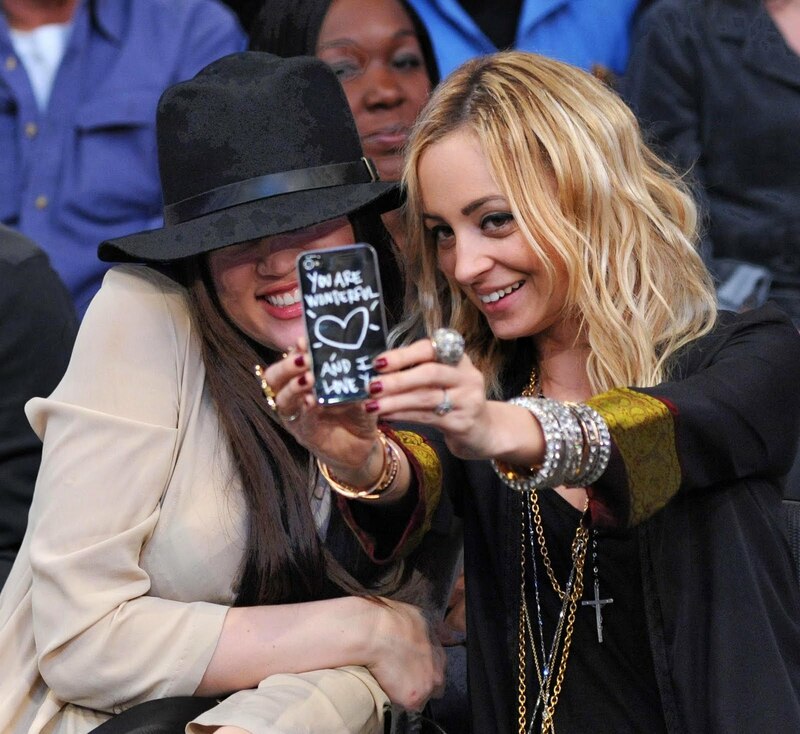 states the back of Nicole Richie's iPhone. Nicole Richie wore a black bed jacket (which looks very Winter Kate) and she piled on her beautiful House Of Harlow jewels. Purp N Yellow! 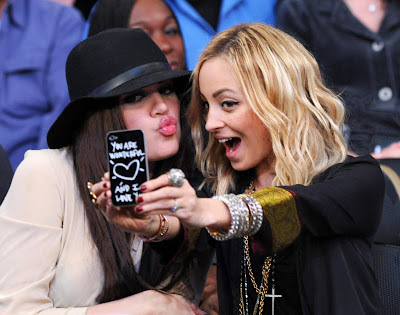 Nicole & Khloe pose for a Twitpic. I am sure everyone has a celebrity they would love to meet - love to go shopping with - love to have a night out with or love to live their life. Well Nicole & Khloe would be a duo I would love to spend the day with I can just imagine that they would have some funny conversations, both ladies have a crazy sense of humour! Was the Rosary from HOH or do you know where this is from?